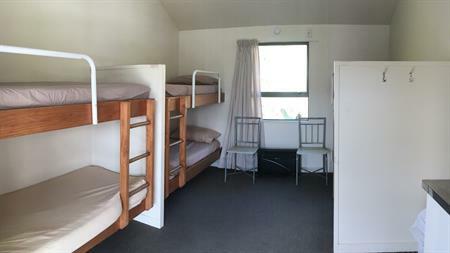 Cabins 1 & 5 – Sleeps 6 (all single bunks). All cabins have heaters, jugs, toasters, coffee mugs, plates etc. All beds have bottom sheet and pillowcases on pillows. Guests will need to bring their own top sheet, blankets and towels or hire them for $10 per person/bed. Tea towel, bench wipe and detergent provided. 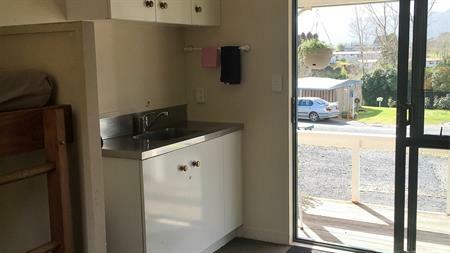 Use of communal kitchen, toilet and shower facilities. Infants are 0 to 1 years of age. Children are 1 to 13 years of age. Sorry, rates and availability information is not accessible for selected dates. Please contact us by email: info@opalhotsprings.co.nz with your enquiry. Thank you.